Long-awaited, War Against the People is a powerful indictment of the Israeli state’s “securocratic” war in the Palestinian Occupied Territories. Anthropologist and activist Jeff Halper draws on firsthand research to show the pernicious effects of the subliminal form of unending warfare conducted by Israel, an approach that relies on sustaining fear among the populace, fear that is stoked by suggestions that the enemy is inside the city limits, leaving no place truly safe and justifying the intensification of military action and militarization in everyday life. Eventually, Halper shows, the integration of militarized systems—including databases tracking civilian activity, automated targeting systems, unmanned drones, and more—becomes seamless with everyday life. And the Occupied Territories, Halper argues, is a veritable laboratory for that approach. Halper goes on to show how this method of war is rapidly globalizing, as the major capitalist powers and corporations transform militaries, security agencies, and police forces into an effective instrument of global pacification. Simultaneously a deeply researched exposé and a clarion call, War Against the People is a bold attempt to shine the light on the daily injustices visited on a civilian population —and thus hasten their end. "War Against the People looks inside Israel’s trade in military and security products and shows how these activities are converted into political clout. [It] aims to arm activists with sufficient knowledge about global pacification and the way it supports the world-system for them to formulate an effective anti-security and counter-hegemony agenda." "For 18 years Halper has been on the front lines of the Israel-Palestine conflict, helping to rebuild Palestinian homes in the occupied territories demolished by Israel. War Against the People suggests that Israel provides a unique window on some of the most important recent developments in what he terms “securocratic warfare”. The book’s central thesis emerged as he tried to understand why tiny Israel hits way beyond its weight economically, politically and militarily." 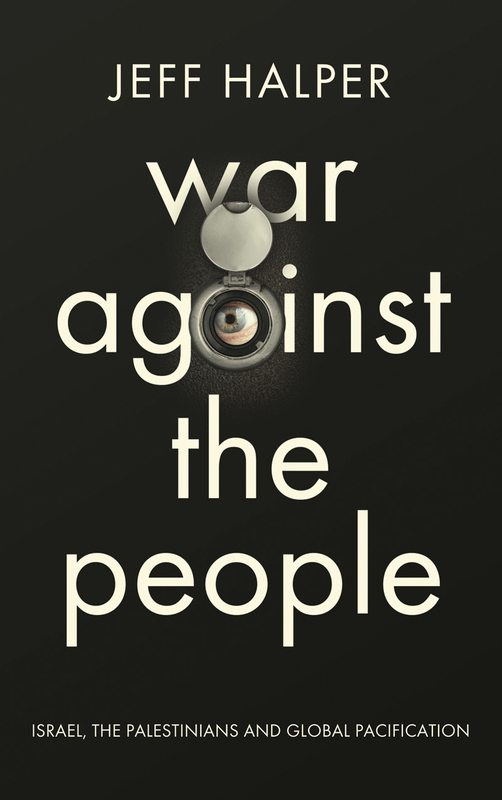 "War Against the People is a genuinely frightening book. At its heart, Halper provides an exhaustive survey of Israel’s weapons technology. This is a brave, angry, unruly book, which inspires fear, but also hope." "[Israel's]﻿ military establishment is both privatizing the weapons sector and selling this technology abroad. Israeli writer and activist Halper argues in War Against the People that the occupation isn’t a burden for Israel but a 'resource', because it gives the Jewish state the opportunity to test weapons and surveillance in the field on Palestinians, along with assisting other states in their military and intelligence needs." "Since 1967, Israel has violated numerous international laws with its settlement of the West Bank, regular disproportionate military incursions into Gaza and frequent extrajudicial killings. American-Israeli scholar and activist Halper sought to discover the source of Israel’s seeming immunity." "Halper does not shy from unconventional positions." "Halper contextualizes Israel’s globalization of Palestine within the capitalist world system." "In his new book War against the People, Jeff Halper investigates the relationship between Israel’s military industrial complex and its occupation of Palestine. . . . The strength of his book lies in its documentation of the extensive repertoire of the Israeli arms industry: bionic hornets, dragonfly drones, airborne surveillance, speedboat drones, bombs containing electromagnetic pulse, and intelligence gathering systems are among the high-tech weaponry, tested on Palestinians, which have turned Israel into a key player in global security politics."